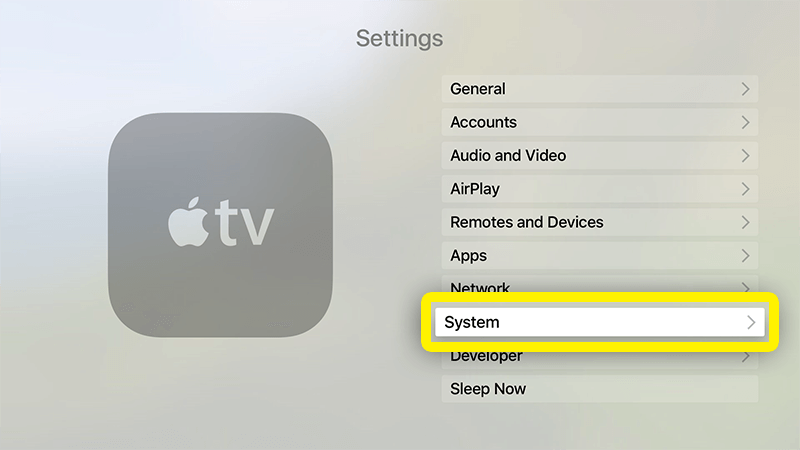 Use this tutorial to learn how to set up your Apple TV tvOS (4th gen, 5th gen) with MediaStreamer by changing your DNS settings. From your iOS device, sign in to your account on https://www.dynu.com. 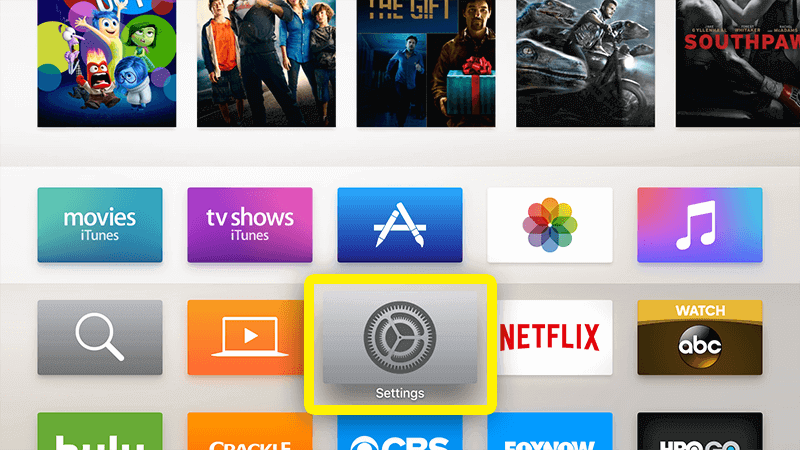 This will ensure that your IP is updated in order to use MediaStreamer on your Apple TV. 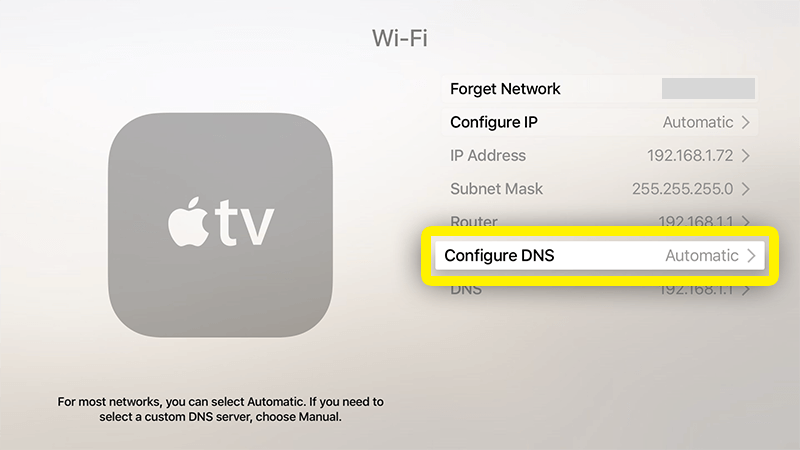 To set up the MediaStreamer DNS server on your Apple TV, you will need to obtain the DNS server IP address. 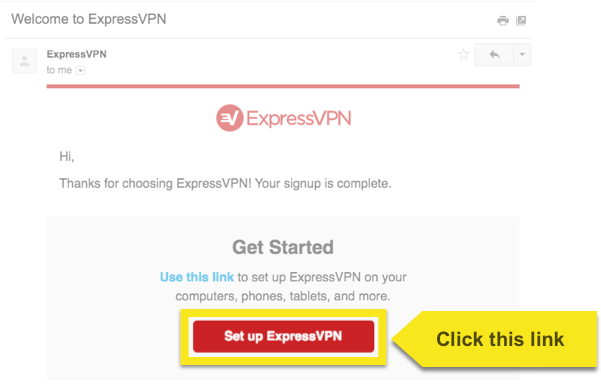 Open the Welcome Email you received when you signed up for ExpressVPN and open the link in the email. 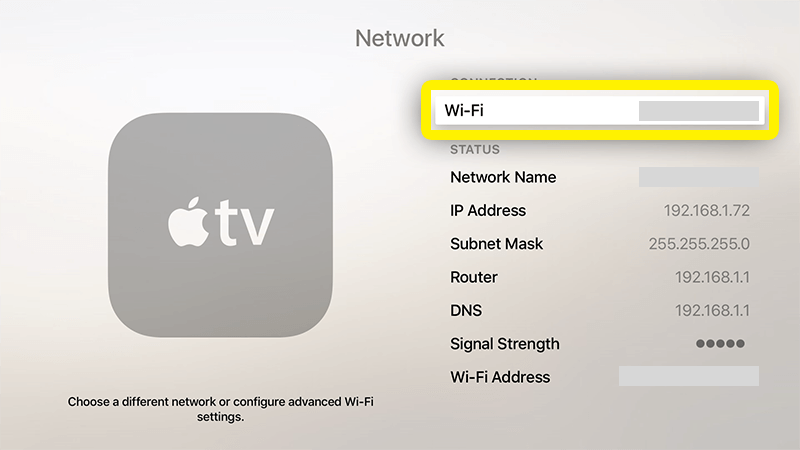 In the Wi-Fi menu, select your active Internet connection to access its settings. 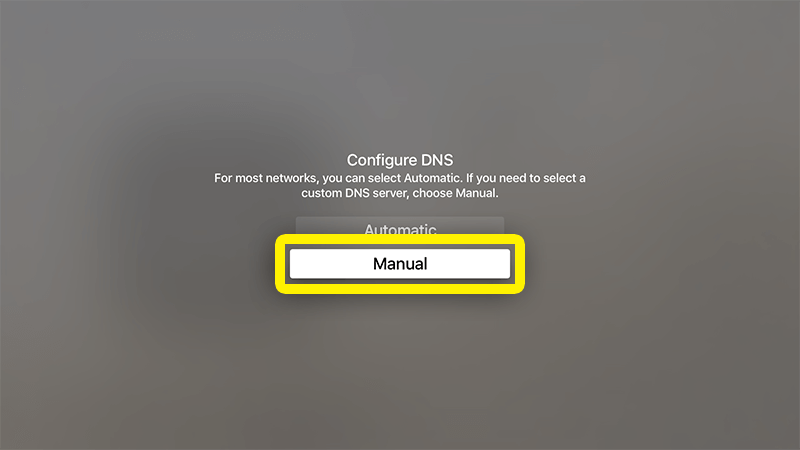 In the connection’s settings menu, scroll down and select Configure DNS. 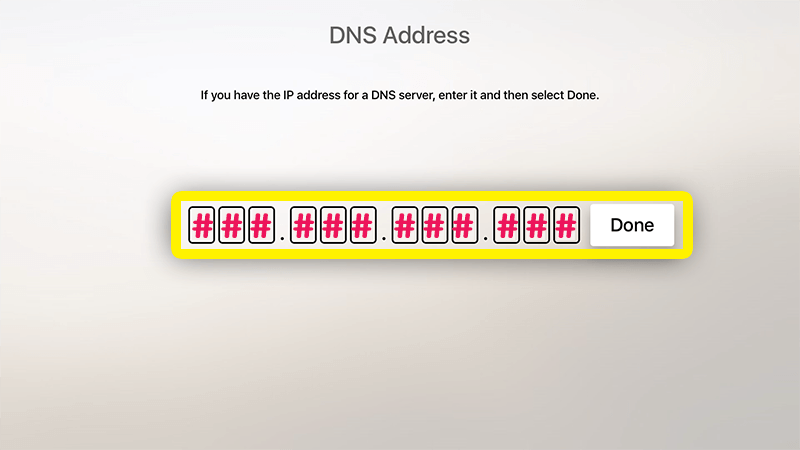 In the Configure DNS options, select Manual. 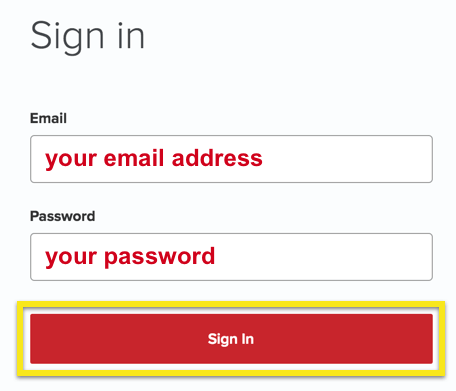 You will arrive at the manual DNS input screen. 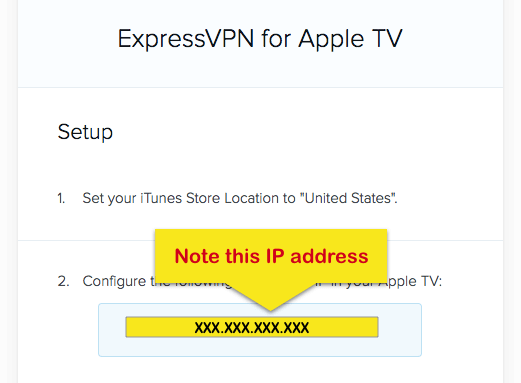 Enter the numbers of your MediaStreamer DNS IP address, which you found earlier. 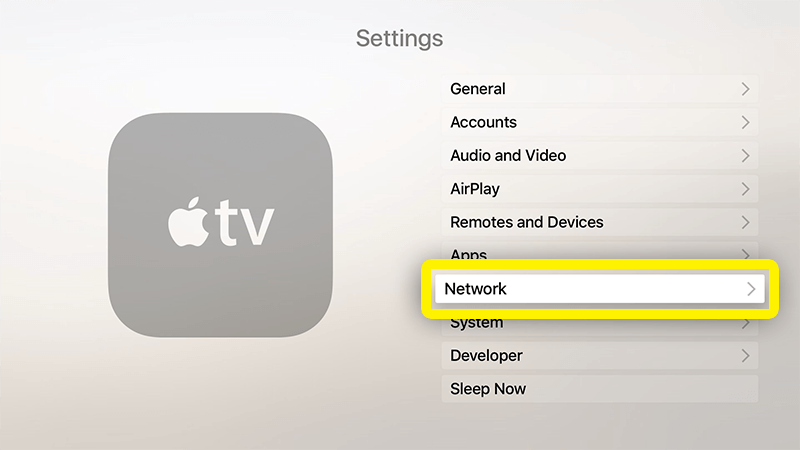 You MUST restart your Apple TV for the DNS change to take place. 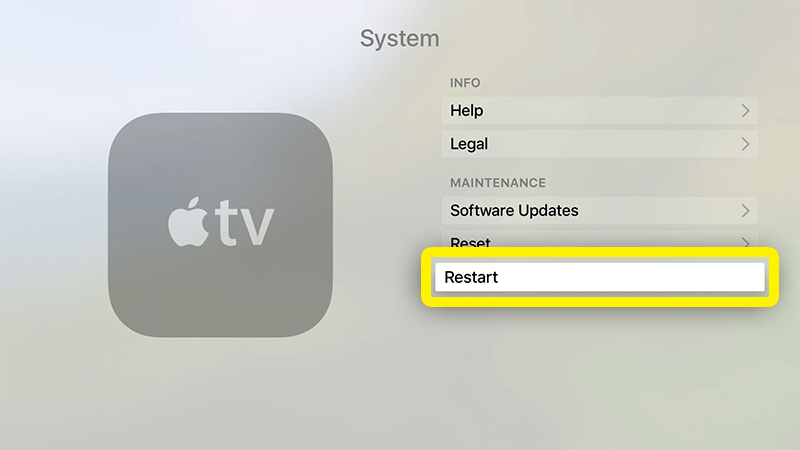 To restart your Apple TV, return to the Settings menu. From the Settings menu, select System. From the System menu, select Restart. Congratulations! 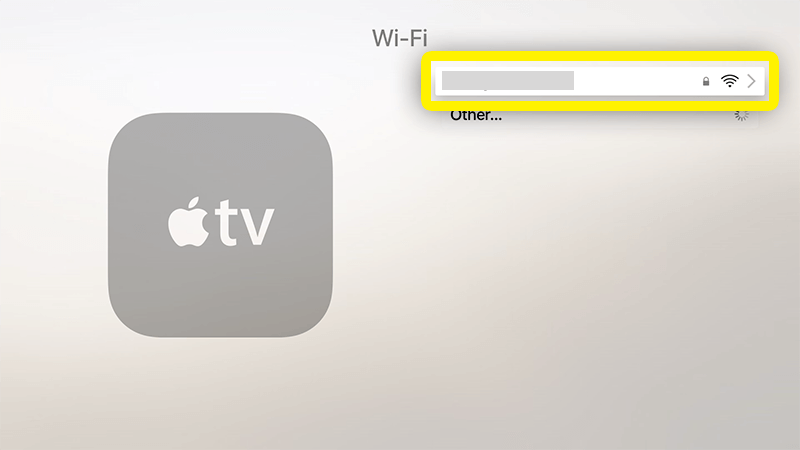 You now have access to the MediaStreamer DNS services and can enjoy previously blocked content on your Apple TV!